Year 2 are a happy, hardworking, and motivated class who love learning and working together! 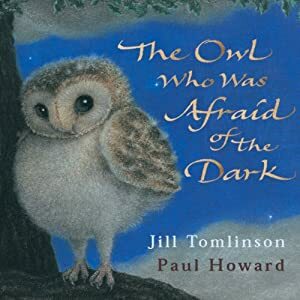 In Year 2 we have had lots of fun focusing our learning around our class text, 'The Owl who was afraid of the dark' by Jill Tomlinson. We will be working on our spelling, punctuation and grammar. We will be focussing on writing sentences including adjectives, conjunctions, commas, exclamations and questions, writing for a range of purposes: letters, stories, character descriptions, setting descriptions and diaries, reading texts with increasing independence and accuracy and recognising an increasing number of unfamiliar words and improving inference skills when completing reading comprehensions. In Maths we will be reading and writing numbers to 100, ordering and positioning numbers on a numberline, counting in steps of 2,3 and 5 from any given number, knowing the place value of a 2-digit number and solving problems involving addition, subtraction, multiplication and division. We will also be learning our 2, 5 and 10 timestables off by heart. We are thoroughly enjoying our exciting topic this term which is ‘Muck, Mess and Mixtures.’ We will be expeirencing a variety of weird and wonderful mixtures using our senses, using marbling inks to create multi- coloured prints, making foods following recipes and looking at what countries foods come from. Reading eggs Your child has been given a username and password for Reading Eggs; this is stuck in the front of their reading record (please let me know if you need a new one), Children are able to read books online which will earn them points!